Robert Harris has been described as a thriller writer but I don't think that really does him justice. 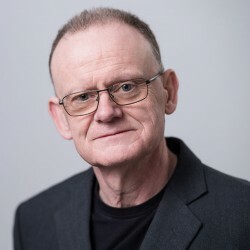 What he does is find the humanity in big historical events with which we have all become so familiar that we are no longer able to see them from the perspective of the individuals caught up in their midst. 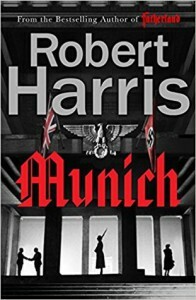 Munich is another fine example of Harris's tailor-made genre. He gives us Chamberlain, Halifax, Hitler and Mussolini along with a bevy of minor diplomats all seen from the point of view of Hugh Legat a third secretary in Chamberlain's private office. Hugh is inadvertently involved in an attempt by disaffected members of the German establishment to depose Hitler. Of course the attempt is never going to get off the ground, as we know from our vantage point nearly eighty years later. But Hugh doesn't know that and he spends a lot of the novel terrified while determinedly trying to do his duty without letting anyone know what he is up to. At times his predicament feels a little bit like an extended metaphor for the British national character. However, it is the portrait of Chamberlain that makes this novel compulsive reading. We are so used to seeing him derided as the high priest of appeasement that it comes as a bit of a shock when Harris reminds us just how grateful everyone was at the time - ordinary people in Britain, in Germany, indeed all over the world. For a brief period Chamberlain was a superstar. The picture that emerges from Harris's narrative is of a man both diffident and vain, who greatly overestimates his capabilities while simultaneously underestimating what Hitler is capable of. Polite and pedantic, bewildering Hitler with talk of fishing, he is out of his depth and entirely unaware of it. His hours of diplomacy achieve nothing except the shameful betrayal of the Czechoslovakian people and yet we cannot help but like him as he gets off the plane waving his little bit of paper, exhausted but hopeful.